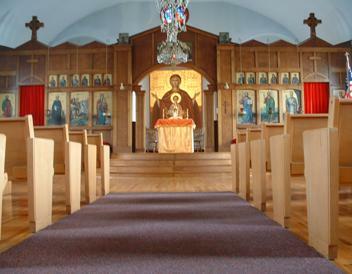 Since those early days, St. George Orthodox Christian Church has grown and prospered. While remaining faithful to their ancestral Christian Faith and proud of their ethnic heritage, the people of St. George have reached out to the community, sharing the precious Light of Christ with all. As a parish of the Antiochian Orthodox Christian Archdiocese of North America, St. George continues to serve the needs of Orthodox Christians not only of Middle Eastern descent but from all backgrounds. Today, our parish community is a wonderfully diverse family which exists solely to bring glory to the Name of Christ and to share Christian Orthodoxy with everyone who would like to learn more about the Apostolic Faith of the Early Church. St. George is a warm and welcoming place. Please come and worship with us! If you are interested in reading more about some of the Arab immigrant families who moved to the Kearney area in the late 1800s and early 1900s, please see the articles Lebanese in Kearney Part I and Part II. 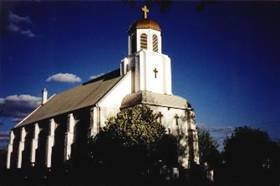 You may also be interested in reading The Story of St. George Eastern Orthodox Church, a brief history of the parish from the years 1903 through 1953.